Women on a Mission: Mom Edition: CRAFTS FOR YOU: Valentines! There are a couple of thrifty crafts here – one for a love note jar to drop in sweet nothings for your Valentine and one for FABULOUS and THRIFTY homemade Valentine cards. 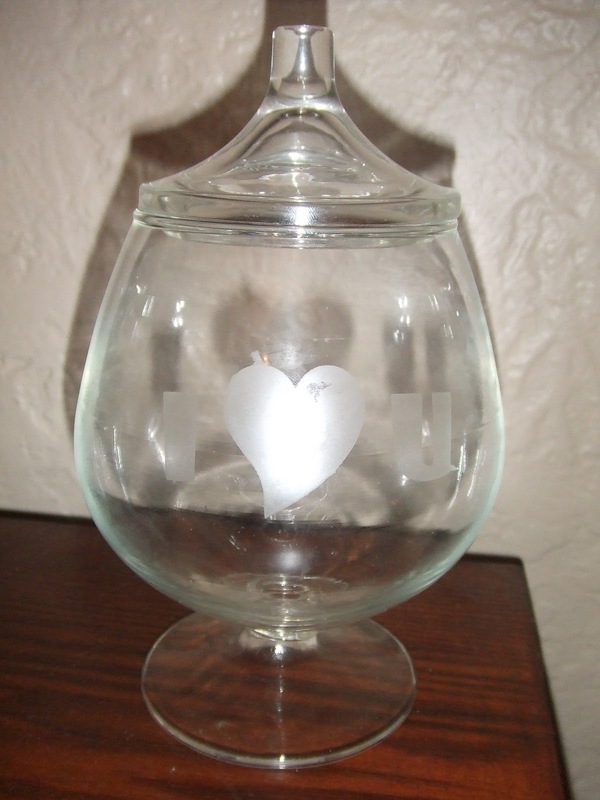 LOVE NOTE JAR: As you recall…Lori lives in LITTLE CITY, ND! 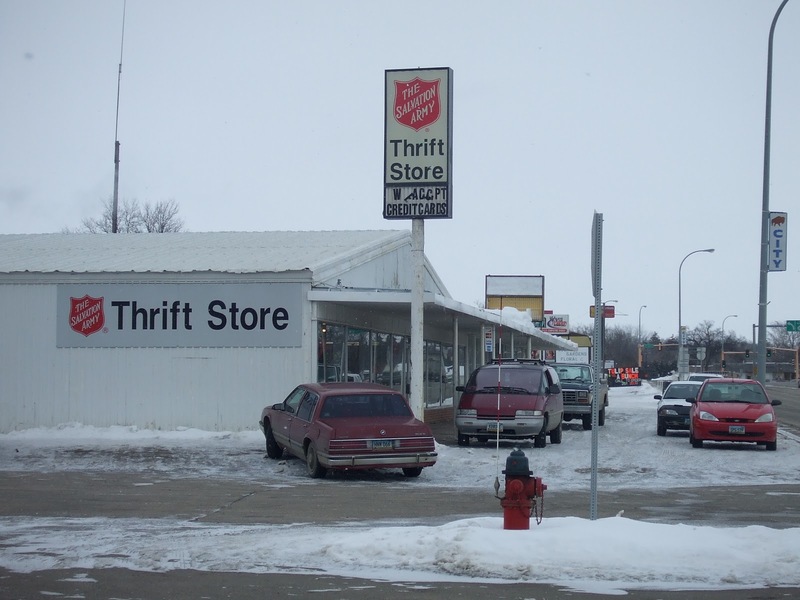 Ethne lives in BIG CITY, MN! 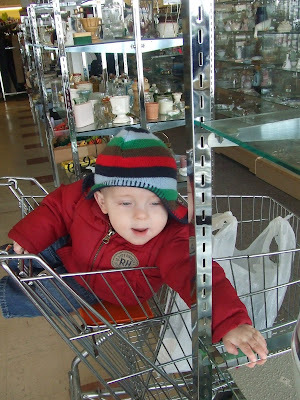 But one thing they both have in common is a FANTASTIC THRIFT STORE SELECTION! We adventured out on the same day and documented our mission. 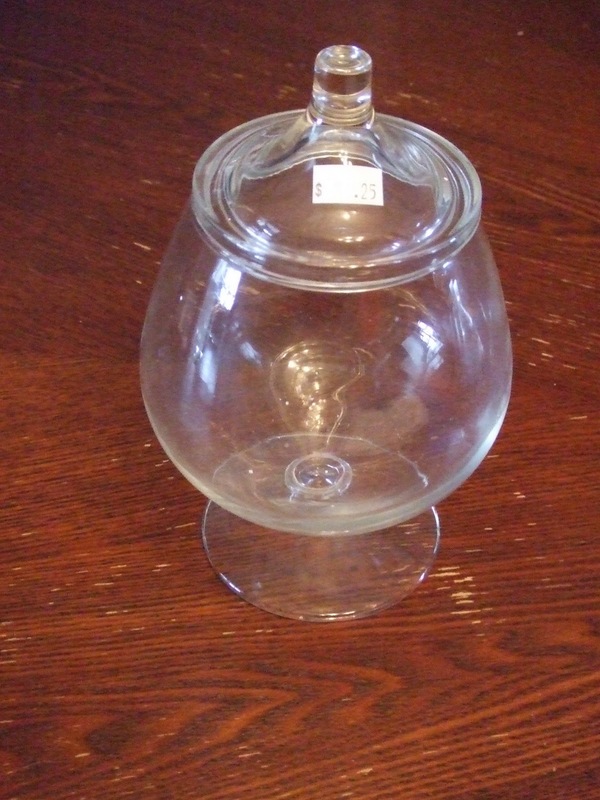 Find an adorable glass container with lid (our inspiration: one of our blog faves, YOUNG HOUSE LOVE). SCORE! Lori’s jar cost a whopping 25 cents while Ethne’s came in just over 50 cents! YIPPEE! Ethne: Ugly heart sticker begone! 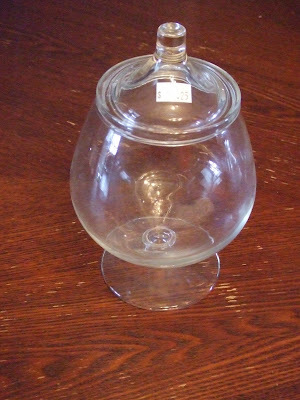 Now all that was needed was glass etching compound…Ethne has a wide selection of craft stores and found this product at Michael's for $12.99 (Ethne was disappointed that there was no discount or coupon to be found, but rest assured this product will be used for future crafts). Lori didn’t fare so well and of course the local Walmart didn’t offer such a product. She luckily enlisted the help of her super crafty friend Katie who had recently purchased the product at Hobby Lobby in big city, North Dakota. The design was simple “I <3 U”. Ethne was able to use the YOUNG HOUSE LOVE method. Create a stencil using painters tape. Cover the jar and apply the compound. Perfection! (Ethne does recommend that you leave the glass etching product on longer than recommended—you want to ensure that the foggy look is consistent). Lori was able to use Crafty Katie’s Cricket machine. 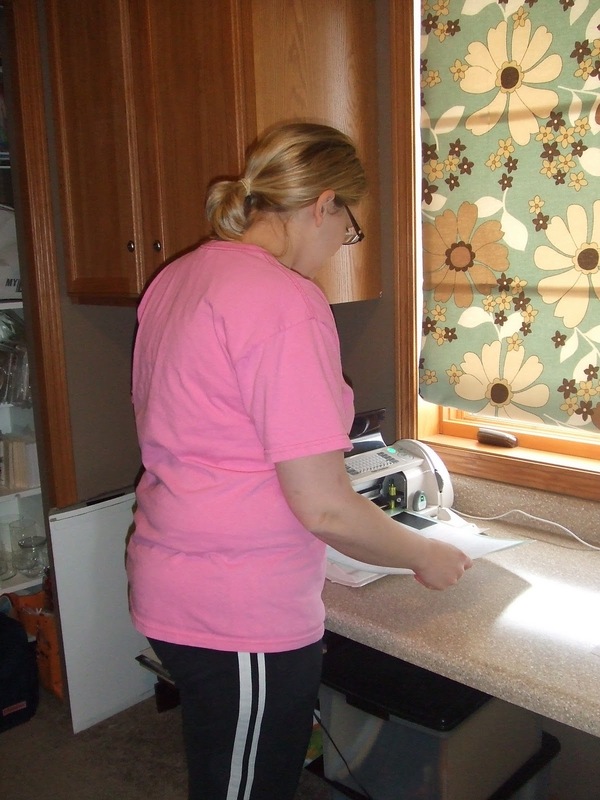 Katie helped Lori by simply typing in the letters and heart, utilizing scrap vinyl, and it was done. Lori then applied the glass etching compound! Perfection! Both Ethne and Lori were lucky to have extra scrapbooking paper lying around the house. Notes were cut and instructions were given. Document daily our love to each other (Ethne to Shaun, Shaun to Ethne, Lori to Steve, and Steve to Lori). Now let’s hope that the husbands follow instructions. At the end of all of this we will have a better understanding of why we L.O.V.E. each other so much! WHAT A THOUGHTFUL IDEA! FANTASTIC! AND THRIFTY! Ethne suspects Shaun's notes are SASSY! 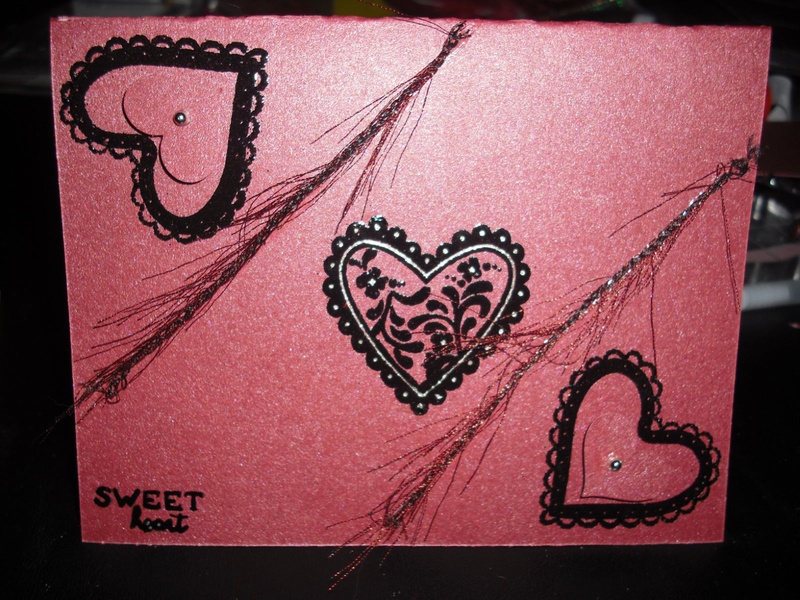 HOMEMADE VALENTINES: The second craft you can do is to make homemade cards for your Valentine, family and friends. Special Guest Michelle (Ethne's friend and co-worker) is an expert card-maker. She makes all of her own cards and gift labels (stay tuned for these! ), so she is the go-to gal for tips for homemade Valentines! The materials needed can be found at scrapbooking stores such as Archiver's, craft stores such as JoAnn and Michael's, and your local Super Target and Walmart. Michelle says one of the best places of all is any local dollar store! Even better! Everyone should have access to these materials pretty easily. BEWARE that even though the cost of each individual item, such as a piece of colorful paper, is relatively inexpensive, costs can add up quickly. Michelle suggests you make up a list, stick to it, and you can make AWESOME cards at nominal cost. There are as many variations to cards like this as your imagination can think up, so I picked a design for Michelle to create and this is the example she'll show you here. THRIFTY TIP: A long while back Thrifty Nana was big into embossing on cardstock for various projects. She did not have an embossing iron back then, so she followed the process that Michelle details below, but then held the back of the stamped, powdered cardstock over a burner (medium-low to medium setting) on our stove - IT DIDN'T TOUCH THE BURNER! Once the embossing powder melts (you'll definitely know when this happens), remove from heat source immediately and allow to cool. “Below is the step-by-step procedure for this card. What is fun with this card, is that it has many textures: glittery paper, embossed stamping, popped-out hearts, and yarn. Step 1: Decide on the size of the card you are going to make. 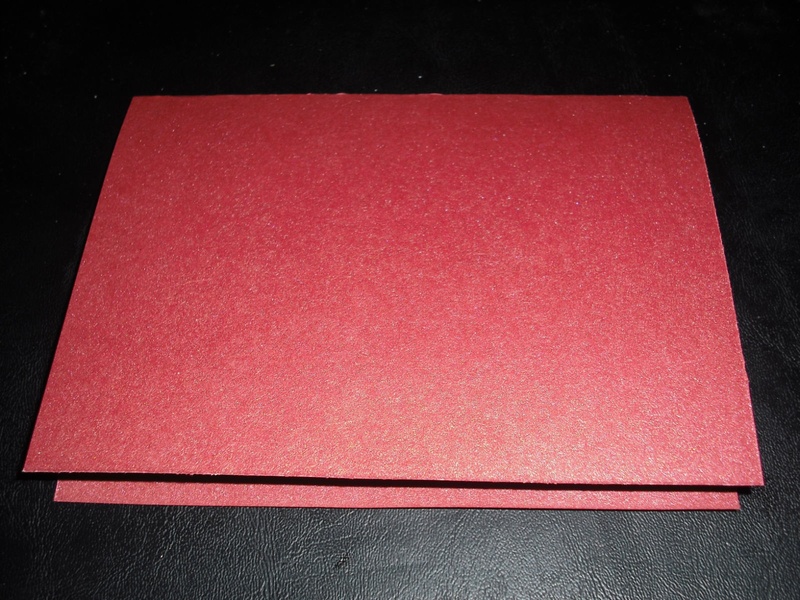 If using an envelope, measure the envelope you will be using, then cut the scrapbook paper to size. Fold the paper to resemble a card that is opened bottom to top. Step 2: Figure out a design for your card, and decide where you want to stamp. 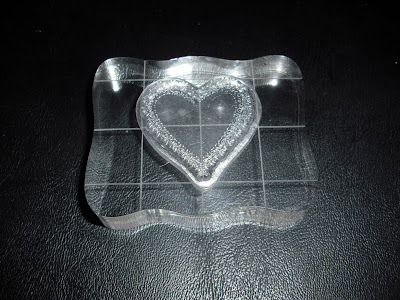 Place the clear stamp you are going to use onto your acrylic block. Push the stamp onto the watermark (clear ink) stamp pad, then stamp onto your card. 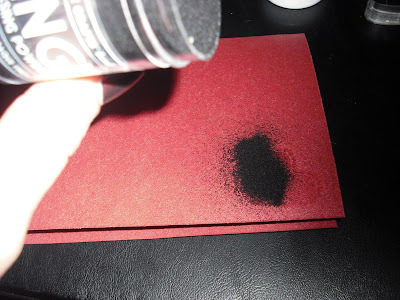 Step 3: Pour embossing powder over the watermark stamp, shaking off the excess onto a piece of blank paper (so you can put the unused powder back into its container for use again later). Make sure to clear the area of all unwanted embossing powder granules. 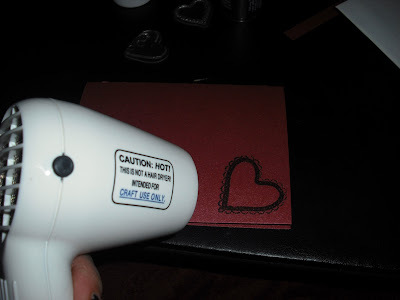 Turn on your embossing iron and heat the stamped area until it turns shiny and raises from the paper. The paper and stamped area will get hot, so let it cool down for a few minutes. 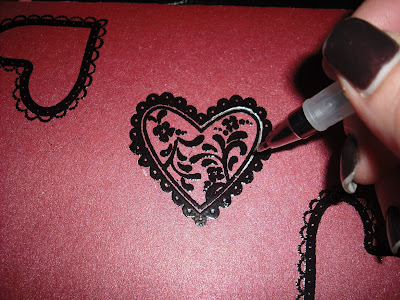 Repeat Steps 2 and 3 until you are done fully stamping and embossing your card. Step 4: Color in areas of your stamped/embossed heart with a metallic silver pen. This adds contrast and eye appeal to your card. Color in as many areas as you like. 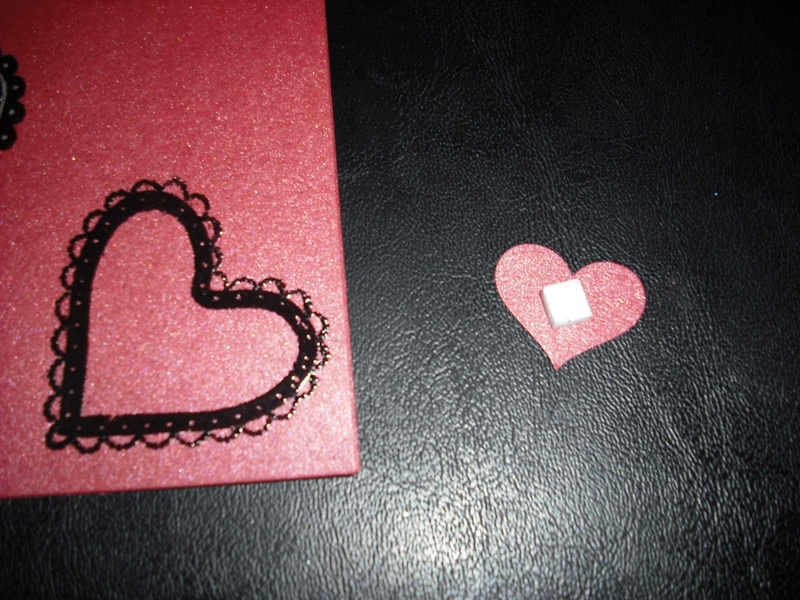 Step 5: Use your heart paper punch to punch hearts in the same color as the card. 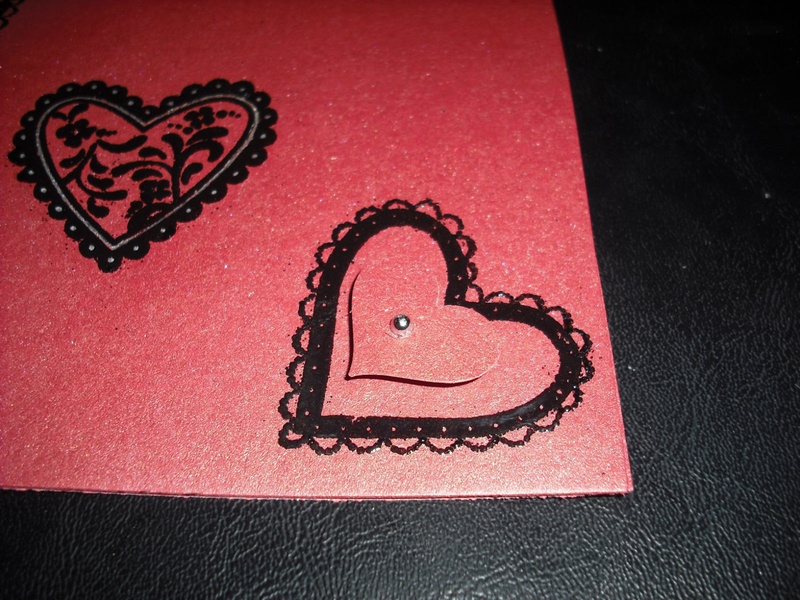 Place a pop-dot on the back of the punched heart and place in the middle of the embossed heart. Place a silver sequin, or dot with a silver metallic pen, in the middle of the popped-out heart, as desired. Repeat Step 5 until you are done adding 3-dimension to your card. Step 6: Decide where you would like to add yarn to card. Then, measure yarn to fit the card. 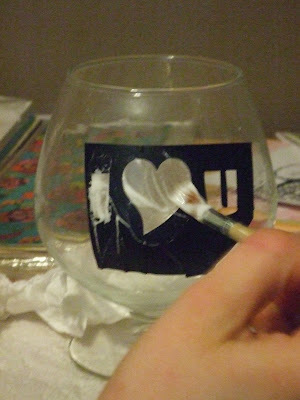 Adhere with glue that will dry clear. Perfect Valentine for a Hot Thrifty WOM! Happy Valentine making to our Blog Friends! Love this post! I think the jars are adorable and such a great idea. I also love card making and make 99% of my own cards. I always enjoy seeing the cards that other people make and getting new ideas. Thanks for sharing! A shout-out to Michelle for helping out with the blog post! What fabulous card-making skills! 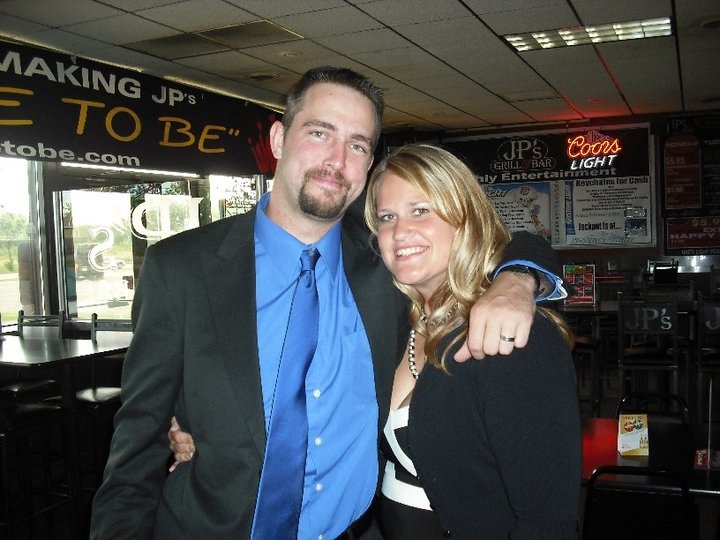 And the photo of you two is ADORABLE!